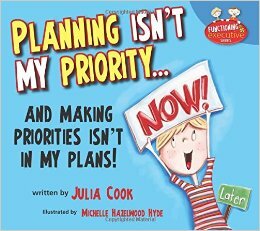 Planning and prioritizing are two of the most difficult executive function skills for people to master. Cletus and Bocephus are back to help us learn to balance structure and creativity. Even my preschool students are motivated by anything related to Star Wars. The Jenga Death Star is an Angry Birds Star Wars game. Picture naming tasks and word drills become fun- after 5 correct productions the child gets to launch “Chewbacca Bird” or “Luke Skywalker Bird” at the Death Star. Cooperation involves working side by side in harmony. Cooperation is a keystone skill for participating in and maintaining friendships. Feed the Woozle™ is a cooperative game. All the players play together against a common obstacle, not against each other. 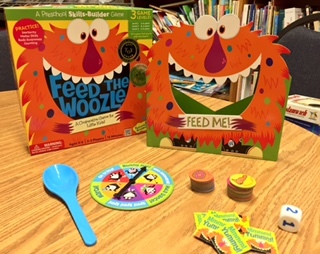 Games like Feed the Woozle™ build cooperative habits as players help each other and have fun. 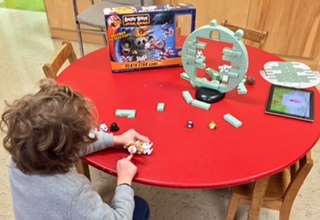 Feed the Woozle™ is an All Peaceable Kingdom Preschool Skills-Builder Game. Everyone makes mistakes. That’s how we learn. 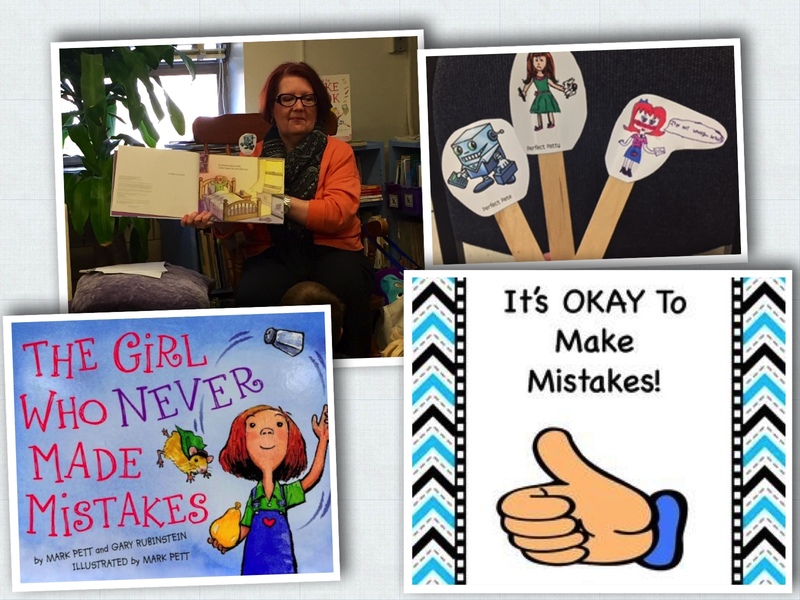 Some of us have to learn that it is okay to make mistakes. The Flexible First Graders are awesome! Throughout the school year they have added so many great strategies and coping skills to their self-regulation toolbox. Dealing with mistakes the right way is a very important addition to the toolbox. A social script/story is a must have in the classroom. When someone makes a mistake it is important to know what they “can” do as well as what “not” to do. The above social story is available at: http://teacherspayteachers.com/Store/Kid-Codes. One of my go-to resources! These Unthinkables invade our brains and challenge our flexible thinking. Perfect Pete- makes people think that everything they do should be perfect. He gets them to think that nothing they do is ever good enough. 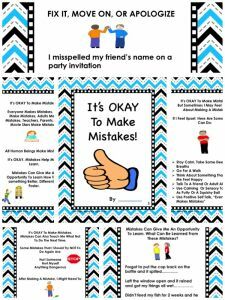 Perfect Pete may even get them to yell at themselves or others when they make a mistake. Perfect Patty- makes people feel like they always have to be perfect…at EVERYTHING. They have to be perfect at school, homework, writing, EVERYTHING! Perfect Patty makes it hard for people to make mistakes, move on with their work, and stay social because they’re so focused on being perfect. Can’t Be Wrong Rita- gets people to worry about being wrong and gets them really upset if they make a mistake. 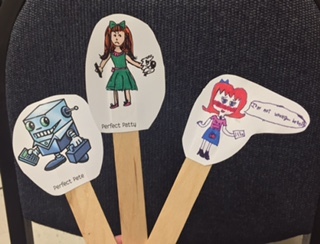 While reading The Girl Who Never Made Mistakes, we used our Unthinkable sticks to show how these three lurk around Beatrice and make it hard for her to make mistakes. In the story, Beatrice learns to defeat her Unthinkables and what a relief it is! Find out more about these Unthinkables in the book Social Town Citizens Discover 82 New Unthinkables for Superflex to Outsmart! by Stephanie Madrigal, Michelle Garcia Winner and Pamela Crooke. Flexible First Graders is one of my favorite groups! 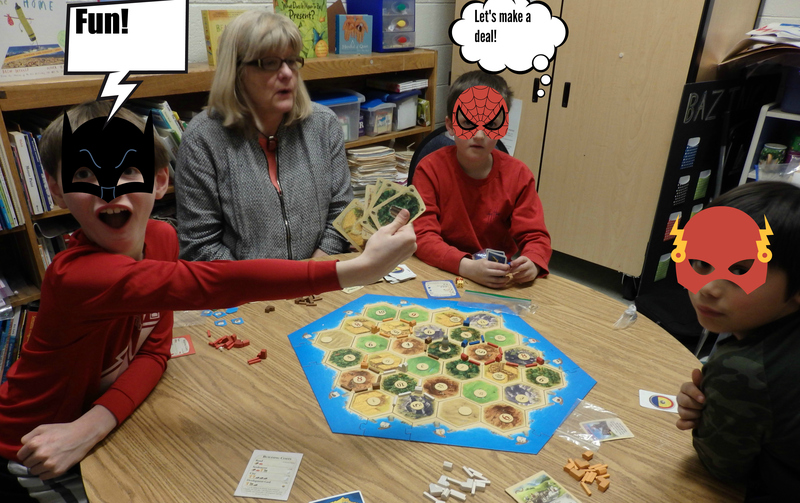 Thursdays at 12:00 noon, you will find some fourth grade Lunch Buddies playing Catan. It is turning into a standing game. They love it and I love it. Catan is a complex game. There are lots of rules that we must hold in working working memory as we play. It is so hard to keep your planned strategies to yourself. Self-control starts with your mouth and that means try not to blurt. There are times when it is expected to make deals and trade resources and there are times when it is expected to keep quiet. This game is all about organizing, planning, self-control and strategizing.